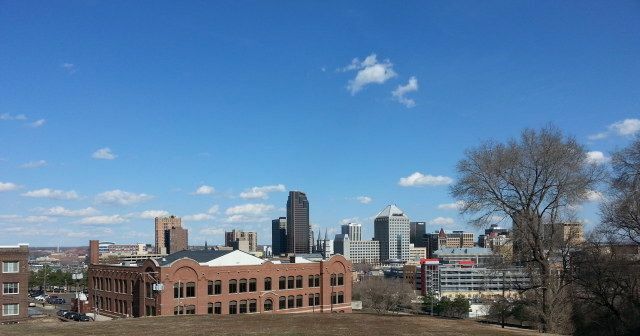 An April weekend in St. Paul, MN, has been an annual event for the past 20 + years, ever since the American Craft Council moved a craft show to the River Centre in St. Paul. For the first time, a stay at the St. Paul Hotel kept us downtown for the entire weekend so we had time to explore more than just the ACC Show. Google turned up Cathedral of St Paul and Minnesota History Center. But we were interested in shopping–something within walking distance of the hotel. 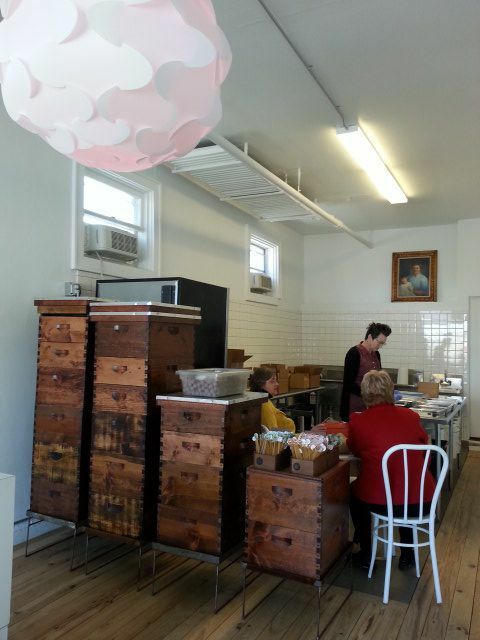 This led us to Mademoiselle Miel at 342 Kellogg Boulevard W., the kitchen/workroom for very delectable honey chocolates. The honey is gathered from hives located on rooftops all over St Paul from bees who collect nectar from parks and flower pots around the city. 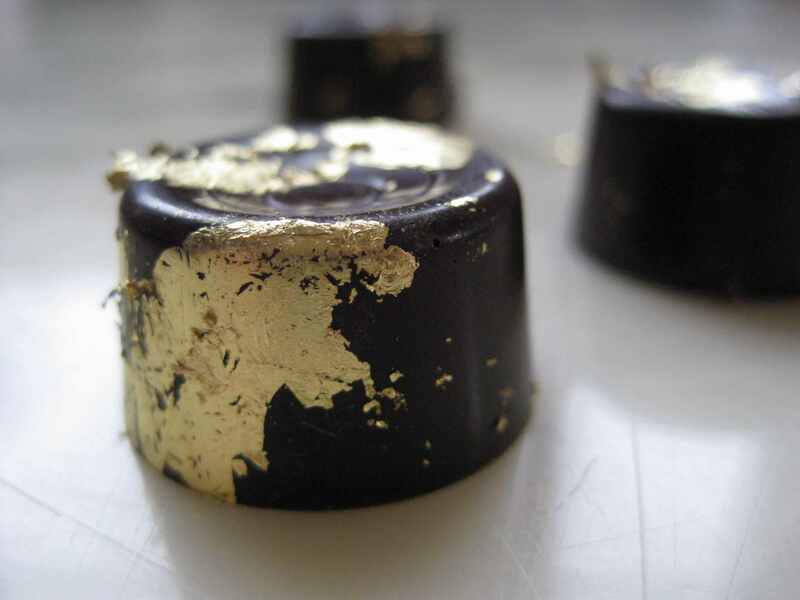 In the kitchen, the honey is transformed into a creamy filling and covered with Italian chocolate and edible gold leaf–very elegant. There are several fruit and herb flavors but the most popular are honey and the smoked honey with Laphroaig scotch–perfect finish to any meal. 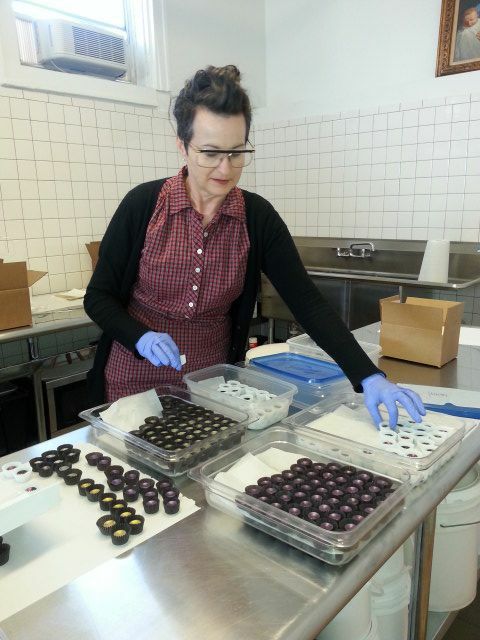 The bon-bons are available at several retail stores throughout the Twin Cities. However, a visit to the workroom is where you will meet the delightful Mademoiselle Miel and sample the honey products. 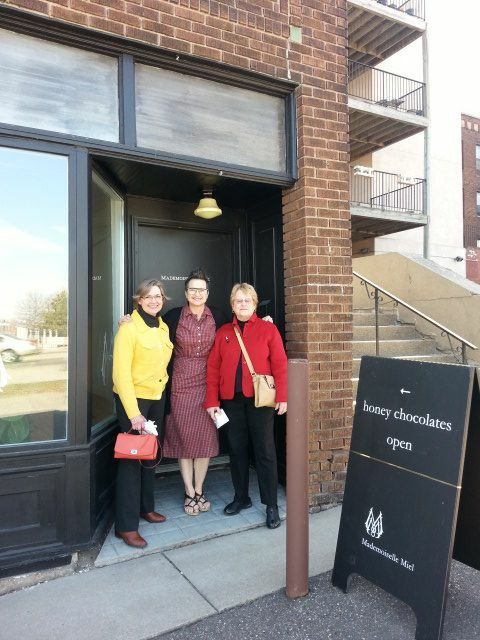 You will be charmed and entertained by Mademoiselle Miel (she is from WI) and learn from this beekeeper and chocolatier. The workroom at 342 Kellogg Blvd W is open only on Friday’s from 3:00 – 9:00 PM. It is on the right side of Kellogg when heading East into downtown St. Paul. The closest parking is up the hill in The Cathedral parking lot, or call ahead for a parking pass. 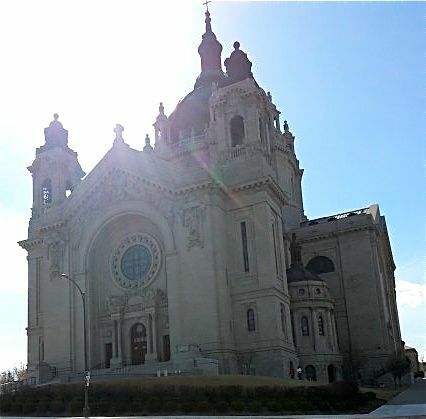 If you park at the Cathedral, be sure to tour this crown jewel in the St. Paul skyline. This entry was posted in OUT AND ABOUT and tagged ACC, beekeeping on St Paul rooftops, Cathedral, honey bon-bons, River Centre, St Paul Hotel. Bookmark the permalink.